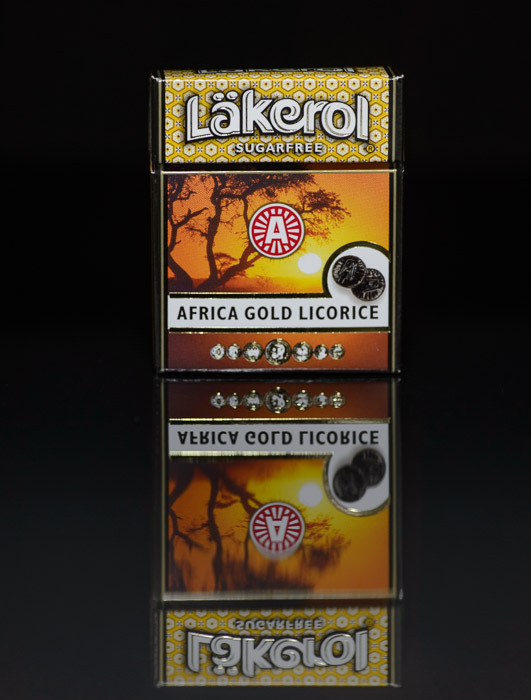 Photo-buddy Damien Douxchamps came back from a trip to Finland, and sent me a huge care package of Läkerol, the not-available-in-Japan candy he introduced me to last year (seen on my blog in “Cornucopia of Tasty Läkerol Licorice” and then later in “Priceless: Candy and Pottery in a Surprisingly Tasteful Display”). 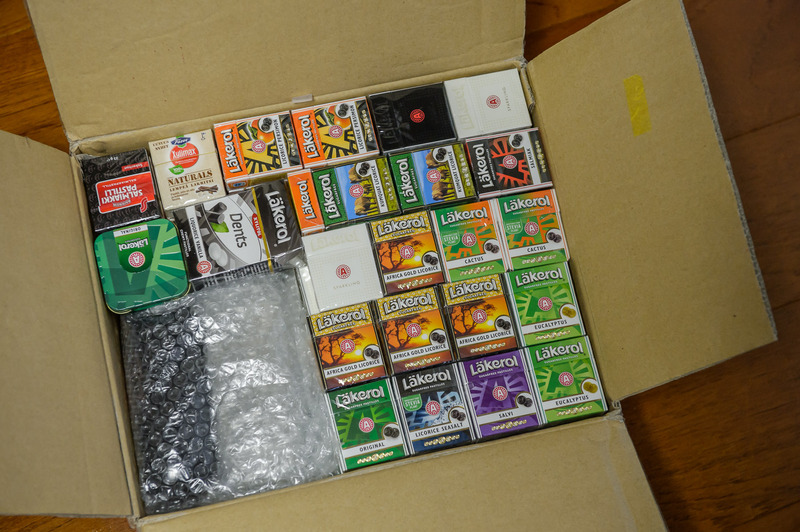 The care package included 122(!) boxes of a dozen different Läkerol flavors (many new to me), plus a few extra odds and ends. I'm also not sure what tastes these names (“Black Diamond” and “Sparkling”) might represent. At least “Elderflower” is probably pretty clear to someone who has an idea what an elderflower tastes like, but I'm not among them. Discovering the tastes, and mixing and matching them, is half the fun. 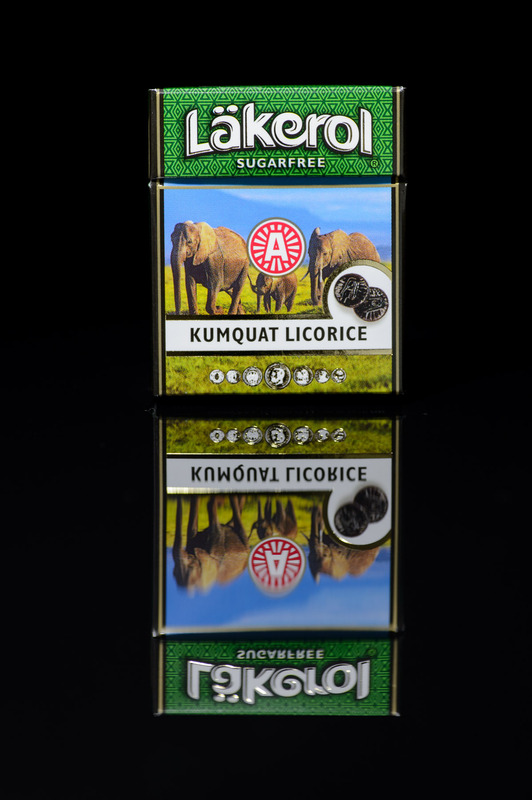 Another taste I'm not currently familiar with is kumquat, nor what that taste might have to do with elephants (in what might be northern India?). Maybe elephants eat kumquat? Maybe elephants taste like kumquat? Having eaten neither, at present the connection is left up to the imagination. 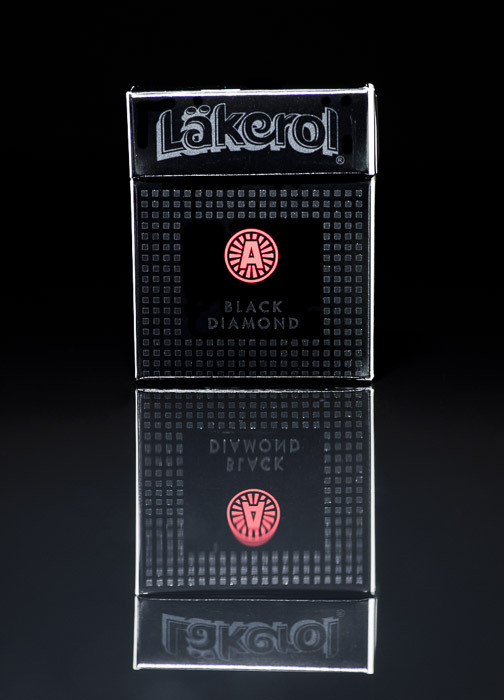 Among the non-Läkerol items in Damien's care package was a bottle of licorice liquor from Finland, with an almost unreadable label. The third line is clearly English, but I don't understand the rest. 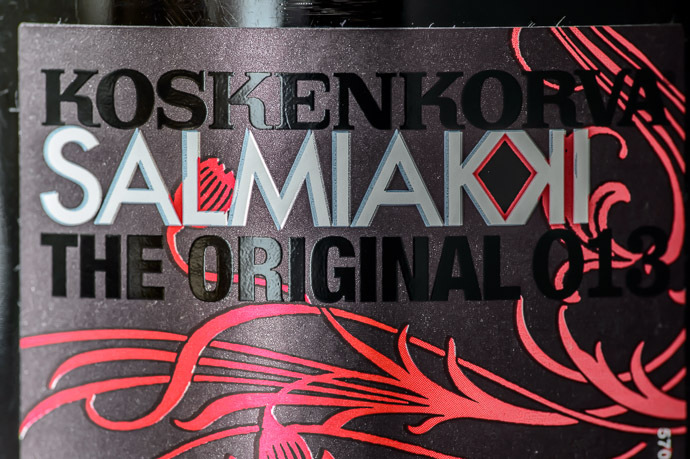 Perhaps it's Finnish? As far as I know, this stuff is not marketed in any English-speaking country, but there's English all over. Maybe it's the same as it is in Japan, where English is “cool”. But then, Japan has a history of deep ties to America (not the least of which is having been occupied and ruled by America for seven years after WWII), so the English here is a bit more baffling. The bottle neck labeling says “Suomi 〜 Finland” (Suomi is Finnish for “Finland”). 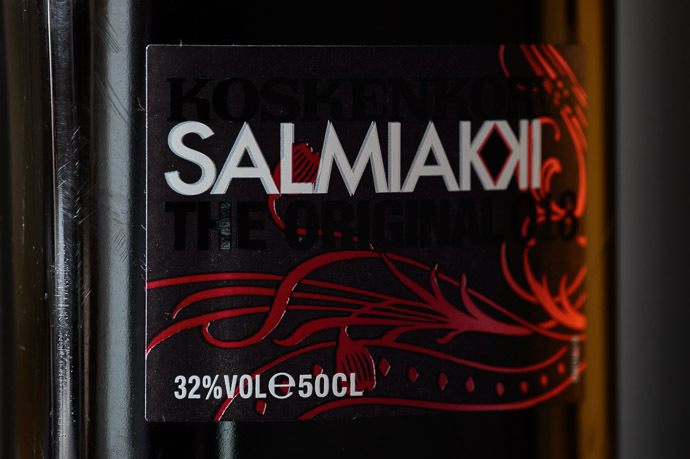 The back label is almost all English: “Deep in its dark, liquorice-infused heart, Koskenkorva Salmiakki is an unforgettable drinking experience waiting to be released. Drink as shots, but don't be misled.” I have no idea what that means, either. It goes on “Experience the spirit of Finland and taste Finnish folklore.” This is marketingspeak on overdrive. It also notes: “Please, shake well.” So very polite. 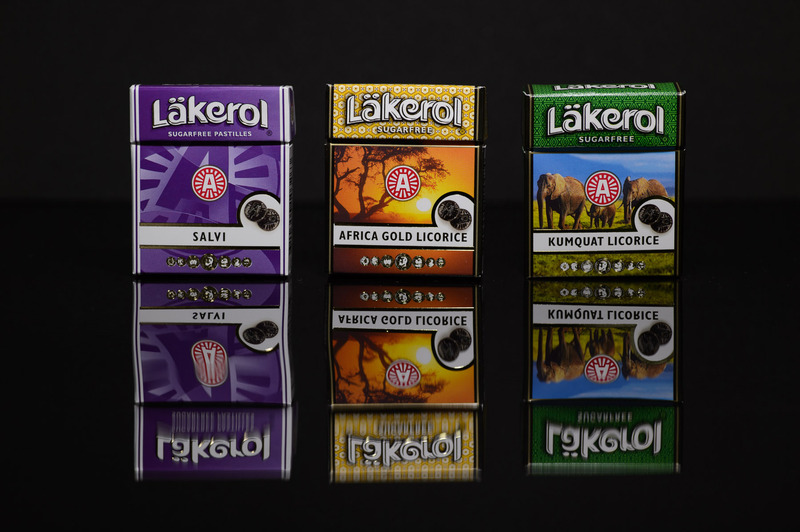 It says “Liqueur” and “Contains Liquorice” in English and two other languages. Anyway, despite labeling that leaves me scratching my head, the stuff is tasty when used in extreme moderation. Adding a few drops (literally) to a big glass of Coke gives it a surprisingly strong, durable, pleasing licorice taste. I can't possibly imagine taking a spoonful of this stuff, much less a shot as it suggests. Damion had once given me an almost-empty bottle he happen to have brought with him to Kyoto, with less than 1mm of liquid left at the bottom, but it lasted me almost a year. This full bottle may well last 30. It's a gift that keeps on giving. Salmiak candy (liquorice with some added salt, ammonium chloride) is a common souvenir from Finland, although not many people appreciate its taste outside the Nordics and the Netherlands. Most Japanese I’ve met haven’t been able to finish even one candy; I’ve only met one who actually liked it. – The two languages are Finnish and Swedish. English is everywhere in Finland (and presumably other Nordic countries); they don’t expect you to speak their impossible language. – I added a tin box so you can do remixes on-the-go. 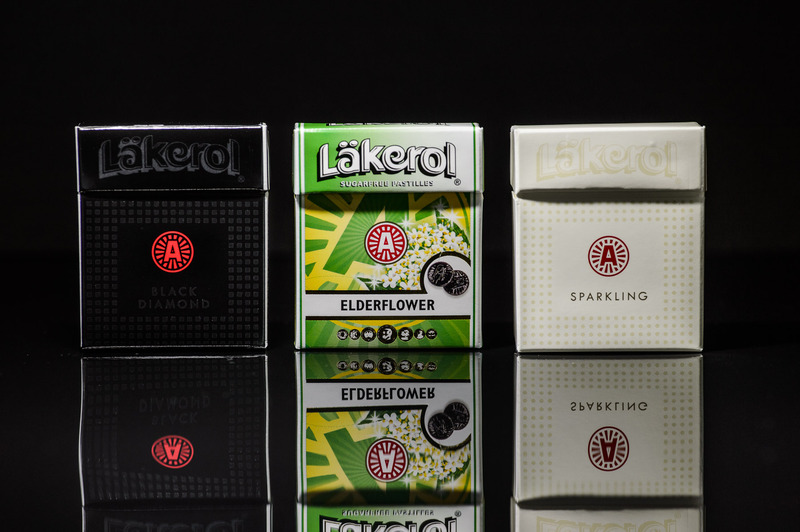 – According to my Finnish friends the “Naturals” from Frazer (big brand) are supposed to be of a higher quality than the Lakerols. We’ll see, but there’s only two flavours so I don’t think Frazer will win this one. Surprised it got past the Customs inspectors..
As Ville says, the Dutch have their licorice (drop) too, but not in so many flavors. They are sold everywhere and vending machines, usually in some combination of hard/soft salty/sweet white/black. They did frown on the salamis though, and told me that normally I couldn’t bring meat. But there wasn’t a lot so they didn’t confiscate it. Nice guys. Kumquats are easily available in Japan! They are called kinkan (きんかん) and are delicious if you pay up for the good ones and know how to eat them: just eat everything but the seeds. The peel is sweet and the flesh is sour. Love licorice and these (lakerol) in particular. Did you ever find them outside of Scandinavia? Or online?